David Speltz began his formal studies with Eleanore Schoenfeld after being introduced to the cello by his father. Later, he was invited to join the Piatigorsky masterclass at USC. 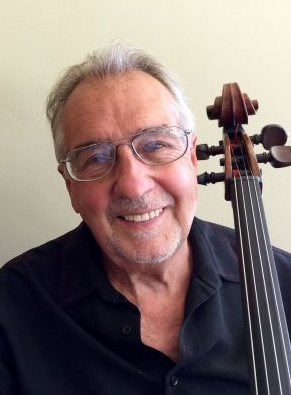 He earned a master's degree in mathematics from UCLA, but soon realized that the cello was the path to follow. In 1973 he co-founded the Arriaga Quartet, which went on to win first prize in the Coleman Competition. As a member of the ensemble Musical Offering, he performed at the Library of Congress, Lincoln Center, the Casals Festival in Puerto Rico, and recorded for the Nonesuch label. He has been active for years on many Los Angeles chamber music series in Los Angeles, and participated in summer festivals throughout the United States. David was a member of the Los Angeles Chamber Orchestra under Sir Neville Marriner, and served as the principal cellist of the California Chamber Orchestra under Henri Temianka. In 1989 he served as principal cellist for the German conductor Helmuth Rilling at the Bach Collegium Stuttgart. He has been active in the motion picture industry in Los Angeles, playing in the studio orchestras for over 500 movies, from the Godfather series to Star Wars! David has three sons, two of whom are professional string players in New York City. He is married to violinist Connie Kupka.